The term hydroelectric power refers to the generation of electricity by utilizing the potential energy of water. 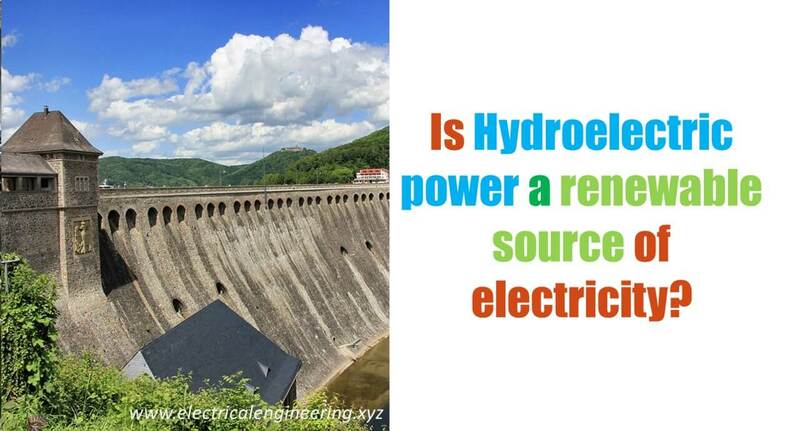 Hydroelectric power is a renewable energy source with a net energy production of 4000 TWh. 2 What is a renewable source? 3 How much power does it generate? The water is stored in a reservoir at a certain height (head). Water flows down through the pipes and hits the turbines synchronized with generators. Turbine motion rotates the generators for providing electricity. Water exiting from turbines leads down to the rivers or oceans and again becomes part of the water cycle. What is a renewable source? Any source which can be used again and again and doesn’t depletes. The water is not wasted, instead, it again becomes a part of the water cycle. The vapor, cloud, rain cycle continues forever and thus hydroelectric power is considered as renewable. How much power does it generate? After natural gas and coal, hydroelectric power is a major power generation source and it contributes around 4,000 TWh in the global electricity generation.